DETROIT, MI [COCC] -- The Council of Orthodox Christian Churches of Metropolitan Detroit (COCC) will sponsor its second annual "Christ is Born! Glorify Him! 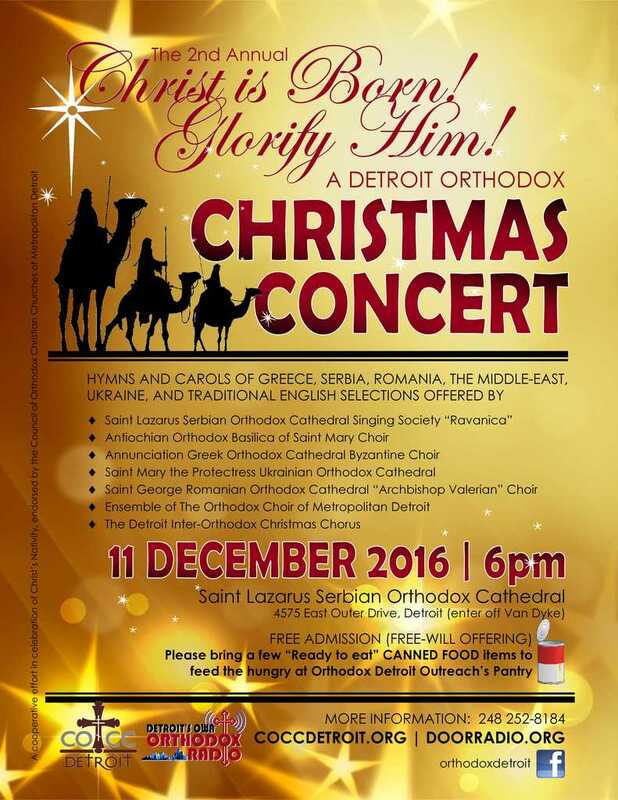 A Detroit Orthodox Christmas Concert" on Sunday, Dec.11 at 6 p.m. at St. Lazarus Serbian Orthodox Cathedral, 4575 E. Outer Drive, Detroit, 48234, at the northeast corner of Van Dyke Avenue. The first part of the concert will feature Nativity hymns and carols from Greece, Romania, Serbia, Ukraine and other lands sung by selected choirs from local Orthodox churches. 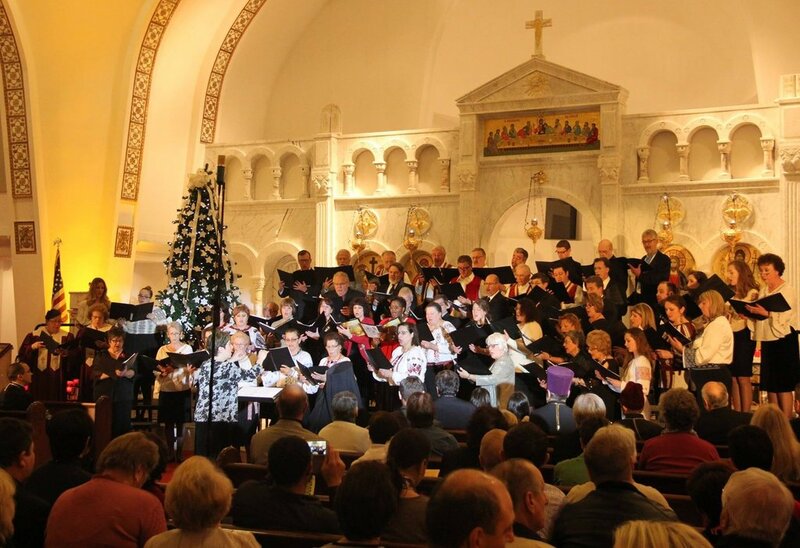 The second part will feature English-language hymns sung by an inter-Orthodox chorus and a sing-a-long of popular carols. An afterglow reception will follow.